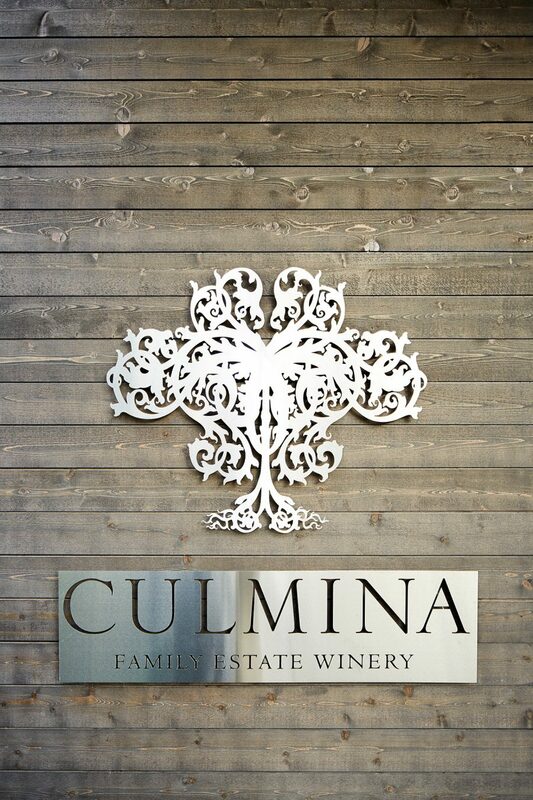 The vineyards at Culmina Family Estate Winery. Hand-split cedar posts grace the end of each vineyard row. Hypothesis on display in the Tasting Room. Patio overlooking the Cabernet Franc on Arise Bench. The Fermentation Hall with traditional checkerboard tile flooring. 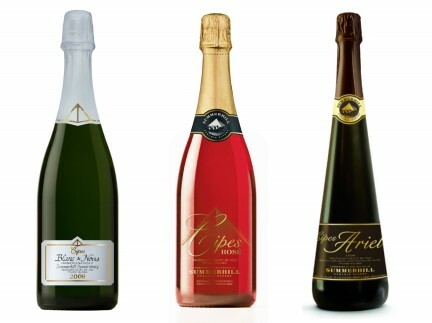 Places set for Culmina’s seated portfolio “Reserve Tasting”. 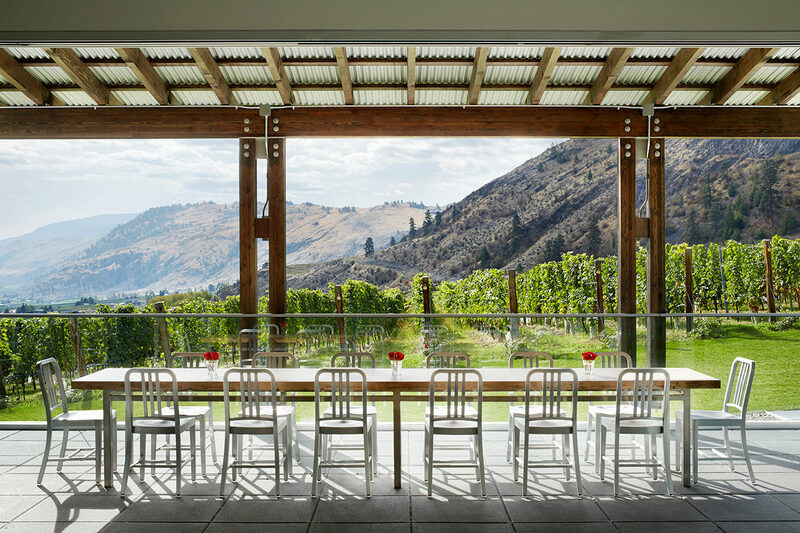 Culmina Family Estate Winery overlooking Arise Bench. Barry, the resident Pembroke Welsh corgi, bounds up the sidewalk from the winery office door, the first to make a greeting. But not far behind, his voice booming a welcome, is Donald Triggs, Canadian legend, who is rightfully proud to share any and all the news about his latest, and, he says, last, wine venture. “It was a twinkle in dad’s eye back in 2006,” says daughter Sara. It is appropriately called Culmina, a direct reference to this project being the sum of all the parts of his career, his life, really, and something in which his wife Elaine and his daughter Sara have highly active roles. 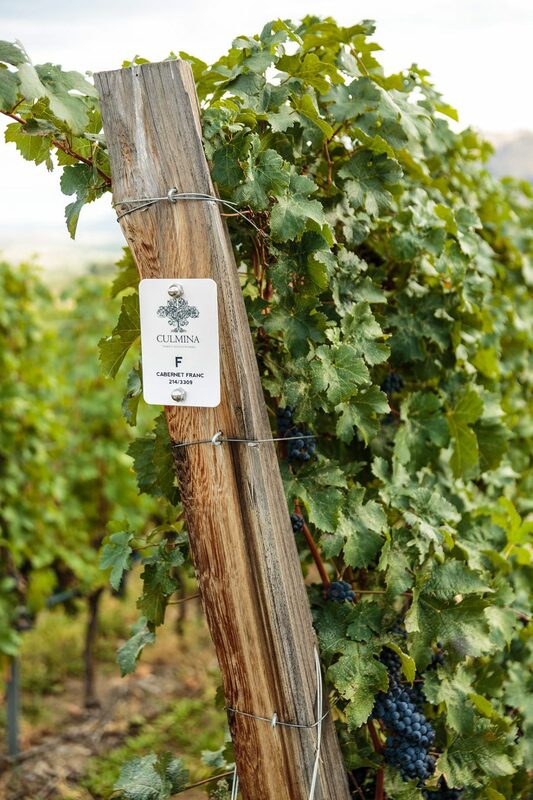 This small estate winery is a world away from rural Manitoba, where Triggs grew up, but his passion for the land and its bounty have never been far from his mind. An honours degree in agriculture at the University of Manitoba, followed by an MBA from the Ivey Business School, left him well-equipped to take on what would become a multi-faceted career path, working at such companies as Colgate-Palmolive, Fisons, and John Labatt. It was at Labatt when the wine bug bit; Triggs worked in the company’s wine division, eventually becoming president of the Canadian business, before assuming the same role in the United States. 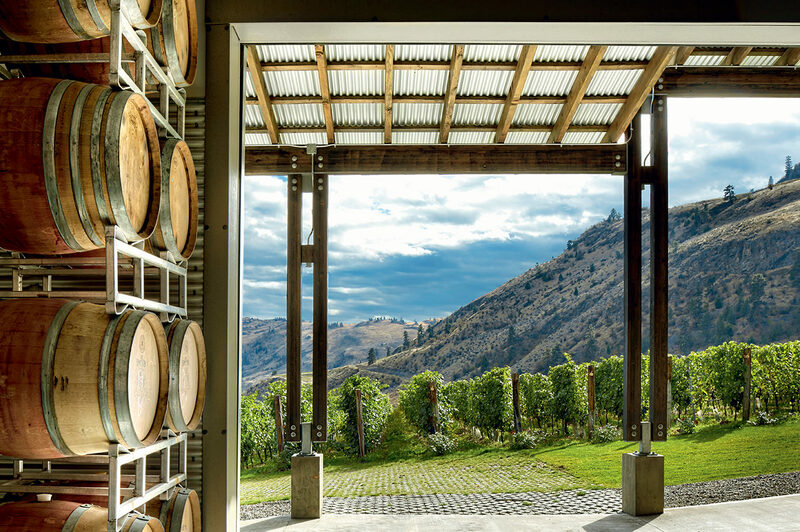 Impressive enough, but what came next changed the course of the wine industry in Canada. An opportunity arose for Triggs and three friends, along with 26 fellow employees, to purchase the Labatt wine business. It was 1989, and Free Trade was looming. Most people thought the wine investment a poor one, given the likely monsoon of California wine coming north. But Triggs and his new business partner Alan Jackson saw nothing but opportunity, much the same story for Niagara as Senator Ross Fitzpatrick’s vision for the Okanagan. 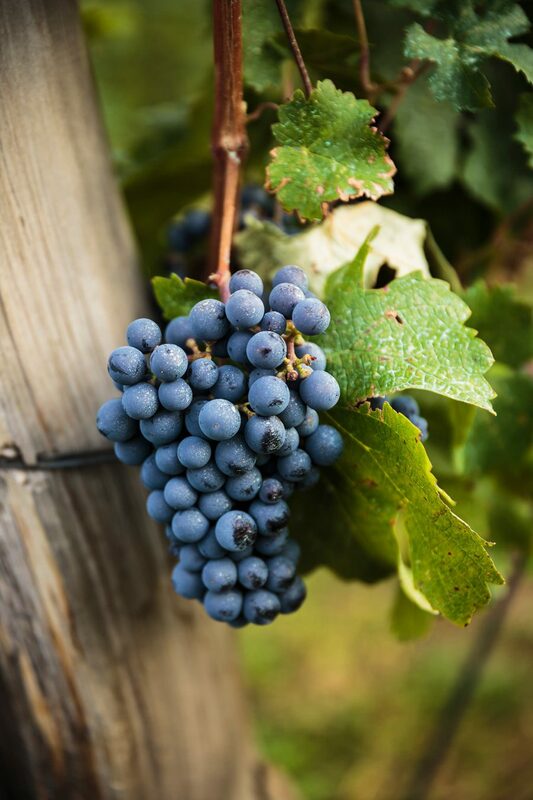 The key was simple, says Triggs: “Just make good wines that are clearly of the region they are grown in.” The success of Jackson-Triggs is well known, and continues unabated. But Triggs, on the edge of retirement in 2006, was thinking things through. “I did take some time off to relax, bucket list travel with my wife, visit the kids. But the idea of golf being the main reason to get up in the morning just didn’t work for me. 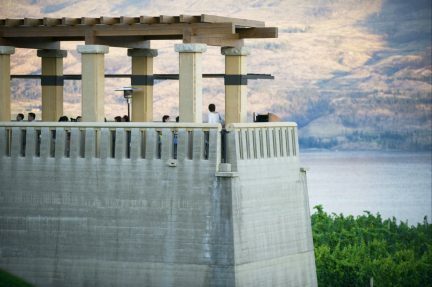 So I got to thinking about a nice, small winery, and what we could do with it,” he says. 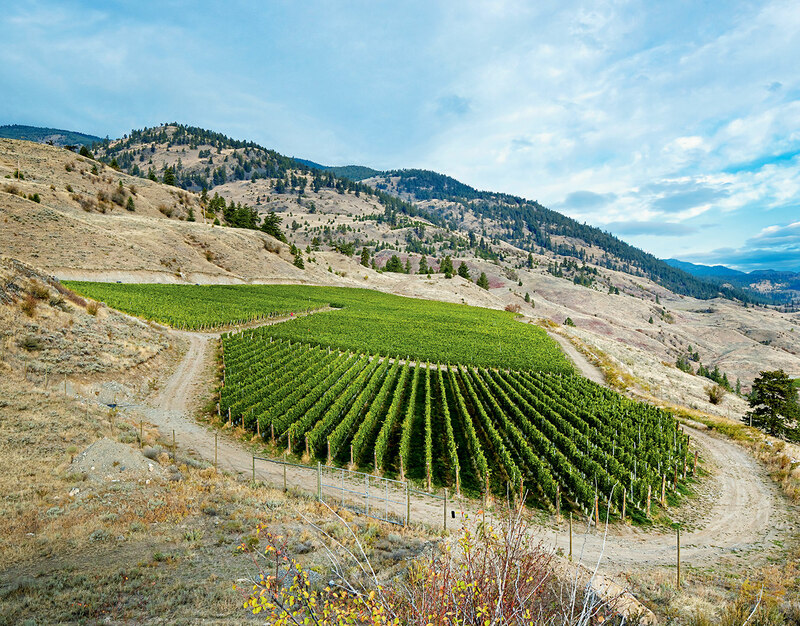 Over 35 years of business success, and an unabated entrepreneurial drive, gave him all the motivation he needed to establish one more success story in Canadian wine, this time near Oliver, in the Okanagan. 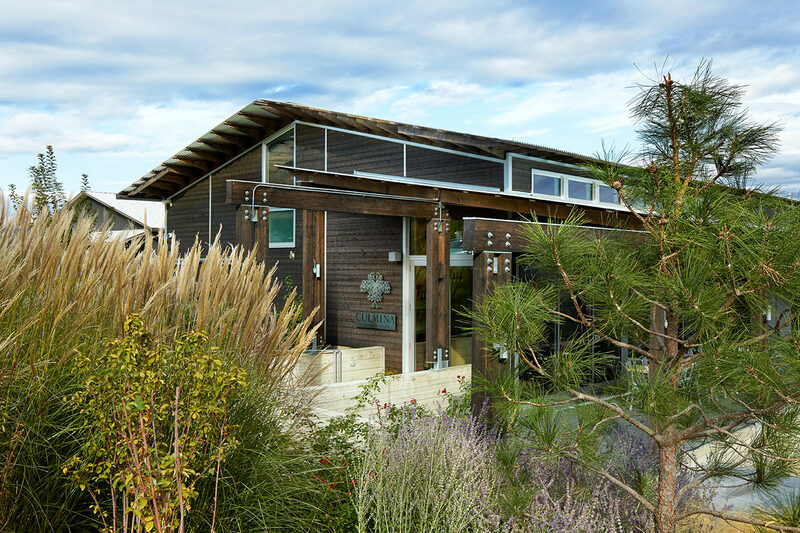 Elaine is co-proprietor and finance director, and her passion for the land, which she has shared with Triggs from the moment they met, in university, is in full blossom. “I asked each of my kids if they wanted to be involved,” says Triggs. “The first two questioned my sanity, actually.” He smiles, then has a bit of a laugh. “But Sara basically said, ‘When do we start?’ and so she’s been with us from day one.” Sara Triggs is the sales and marketing manager, but is directly involved in a lot of what the winery does. 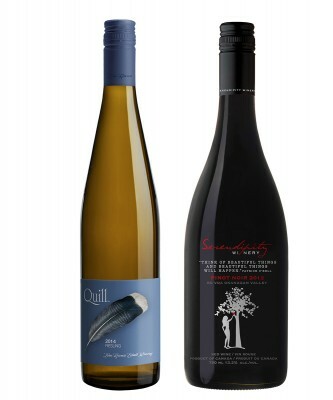 Pascal Madevon, the Bordelaise winemaker who put Osoyoos Larose on the map, is now with Triggs at Culmina. They are definitely on the same page, and to witness the two of them (with Barry never far away), strolling through their new vineyards, talking about rootstocks, and how eager they are to share the first-ever Okanagan grüner veltliner, or how their cabernet franc is planted in the one area where it can get enough heat units to ripen, is basically to participate in history being made. Alain Sutre is the viticulturalist and a winemaking consultant to Triggs and Madevon. The family refer to him as the “quarterback” for the entire project. It is a formidable team. 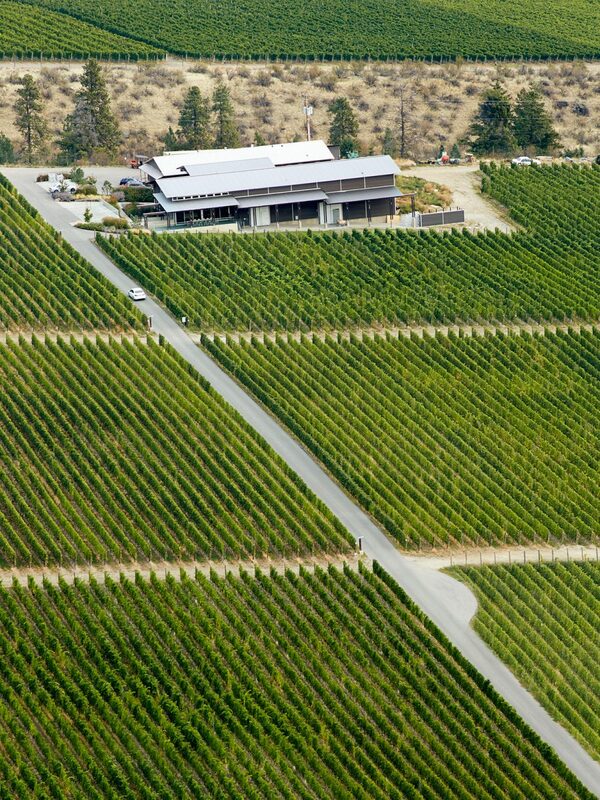 The vineyards, planted in micro-blocks according to the extensive soil and climate research the team did, are fully monitored, and Madevon has control of them on his cellphone. 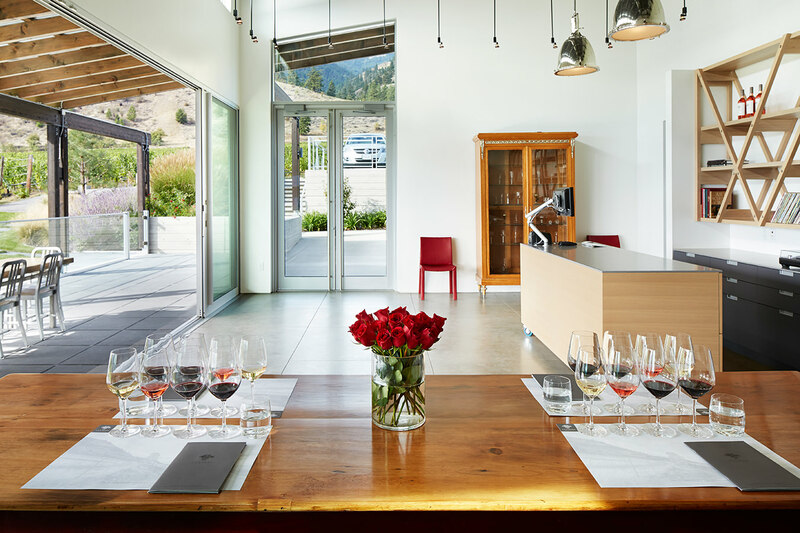 The winery itself is completely state of the art, complete with peristaltic pumps and a Bucher Oscillys destemmer, the first of its kind in Canada. 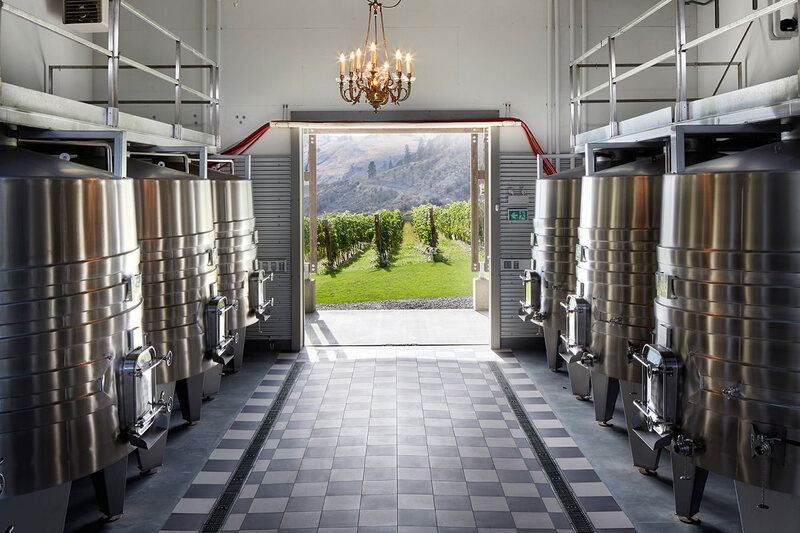 Fermenting tanks, barrels, the tasting room, it is the very model of what a contemporary winery can be, even down to the orientation of the windows allowing light into the winemaking cellar and making the operation highly eco-friendly. The wines themselves, bound to get even better as vines age, are already magnificent, true exemplars of what people mean when they use the word terroir. Each has a name. Unicus is the grüner veltliner, bursting with aromas of fresh-cut flowers and stone fruits, packed with minerality and balanced acidity, and a remarkable lime note on the finish. Decora is the riesling, made in a lean, crisp style, ideal with food, and capable of aging well in bottle. Saignée is the rosé, a delightful, if seriously Provence-style wine, packed with fresh fruit and even a bit of tannin to give it some heft. 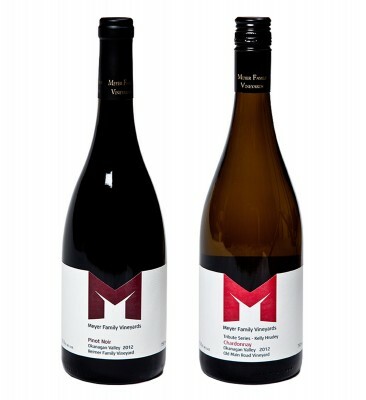 Dilemma is the chardonnay (amazingly, all three white wines are the first whites Pascal Madevon has ever made in the Okanagan), a distinctive, elegant, multi-layered wine of power and finesse. Finally, the red Hypothesis, spicy, rich, chock full of ripe red fruits and dark plum, with a touch of oak and refined tannin. 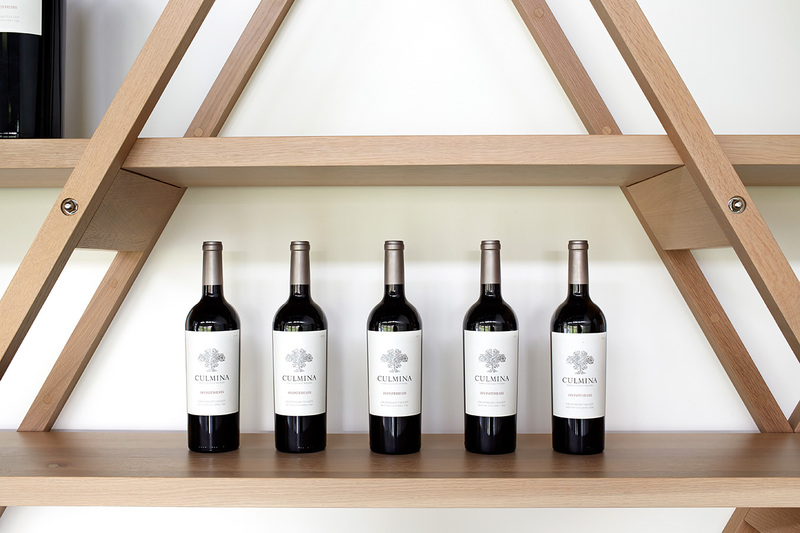 The overall goal, met well, is to make elegant, refined wines that are approachable now, but can take a few years of cellaring, too. Over dinner at the Triggs family home, the wines show extremely well, and Elaine smiles, says, “all those years of research and study really paid off, I think”. She is right, of course, and Triggs nods in approval, allowing Madevon to pour just a touch more of the Unicus into his glass, before saying, “Pascal, this is very good now, but these vineyards are still very young.” Madevon, in turn, nods also, then says, “It is exciting to think what these vineyards will do 10 years from now”. As the next dish appears on the table, and another wine is poured, it is almost impossible not to make a promise to oneself, to make sure to try and repeat this scene, a decade hence.